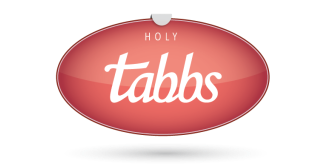 To help you hit the ground running, we have put together an easy-to-follow HolyTabbs user guide, that is complete with images and step by step instructions. 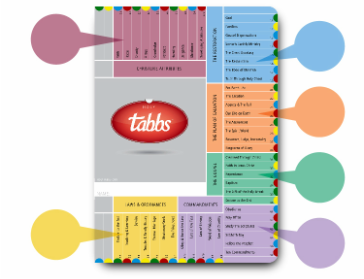 We have also included helpful tips and tricks to help you make the most of your HolyTabbs system. 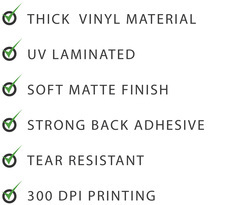 Your experience is important to us. To achieve the perfect fit for your scriptures, we meticulously measured the length, width, and radii of the inside cover. 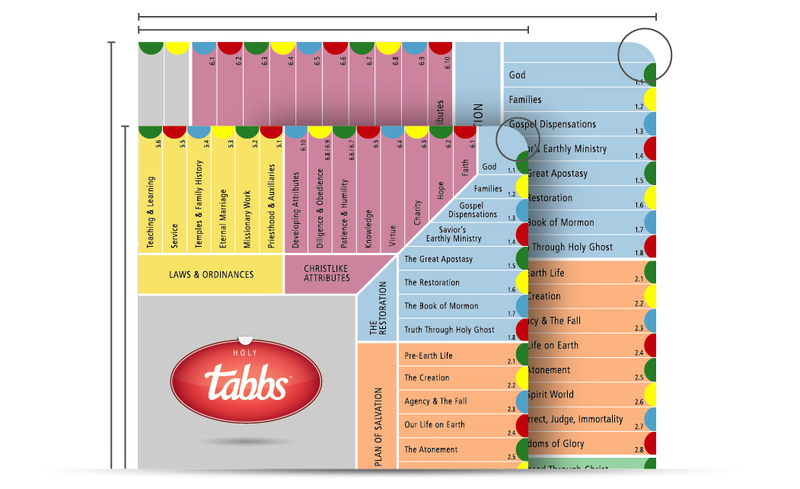 HolyTabbs fits the LDS compact, regular, and large English scripture sets. This perfect fit keeps your scriptures uncluttered and ready for action. 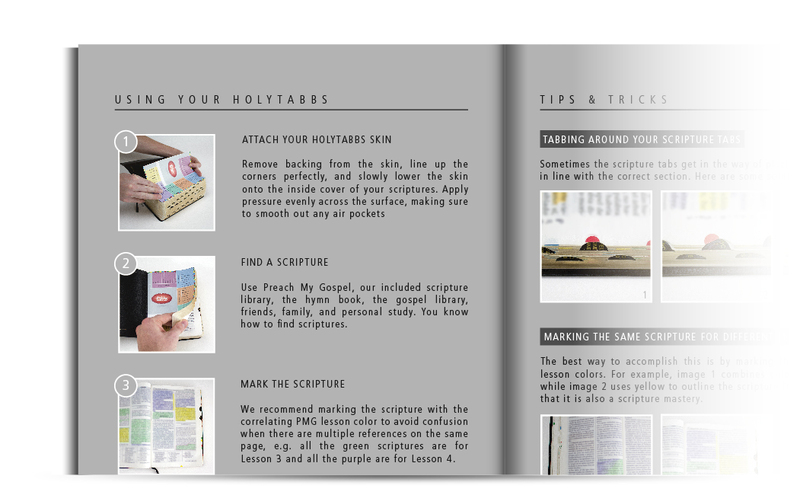 HolyTabbs has been designed to complement Preach My Gospel for effective gospel study and teaching. The lesson colors and structure are based on the missionary lessons in Preach My Gospel to keep your scriptures organized and easily searchable. Sometimes diving into scripture study is intimidating. 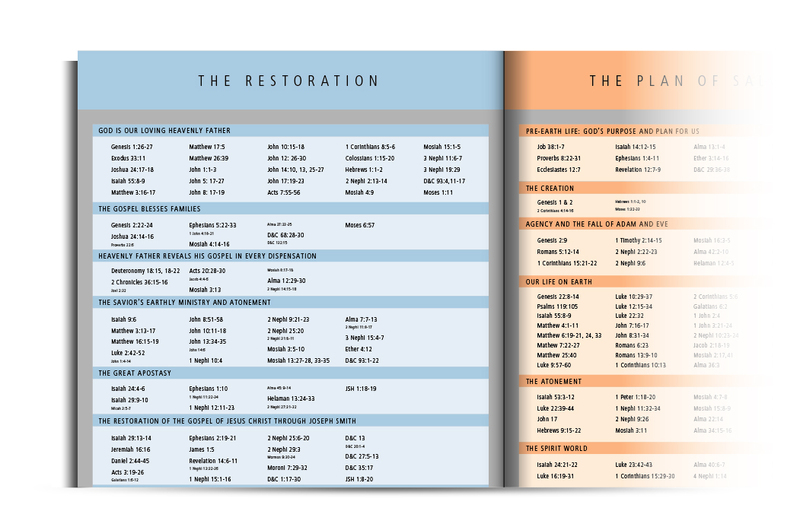 We put together a list of 495 useful scripture references and categorized them into each lesson, to help you get started. We hope this library proves to be a valuable resource in your scripture study! 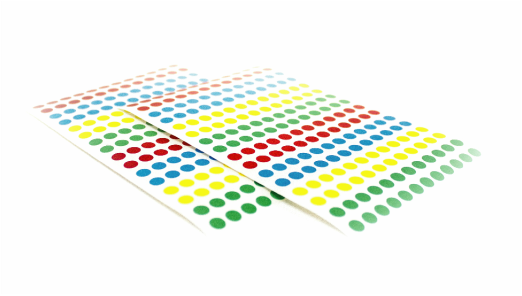 Our incredibly durable skins are made from a premium quality, adhesive-backed vinyl that has been coated with a UV laminate, which protects your HolyTabbs from sunlight, rain, scratching, and tearing. 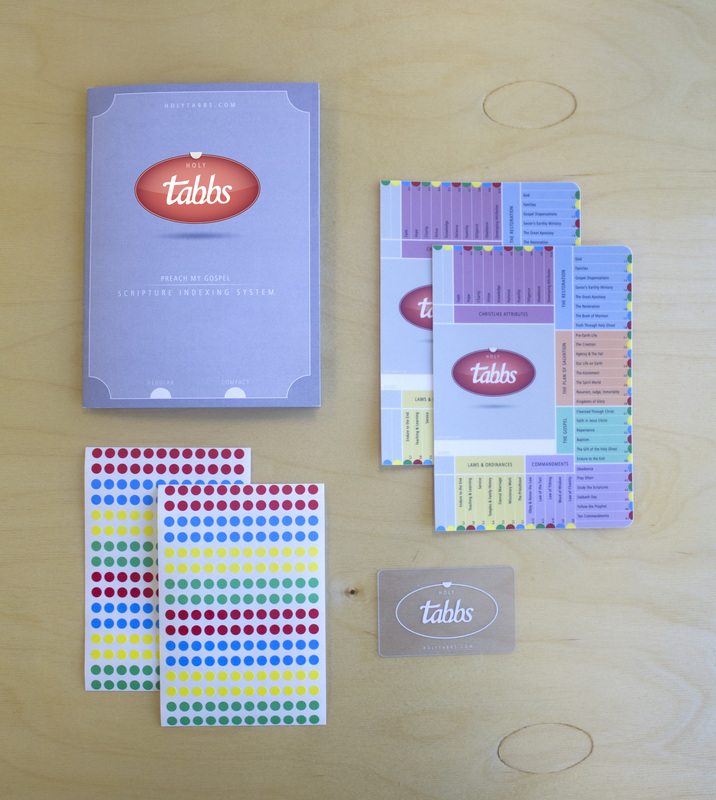 You'll be impressed when you hold a HolyTabbs skin for the first time.